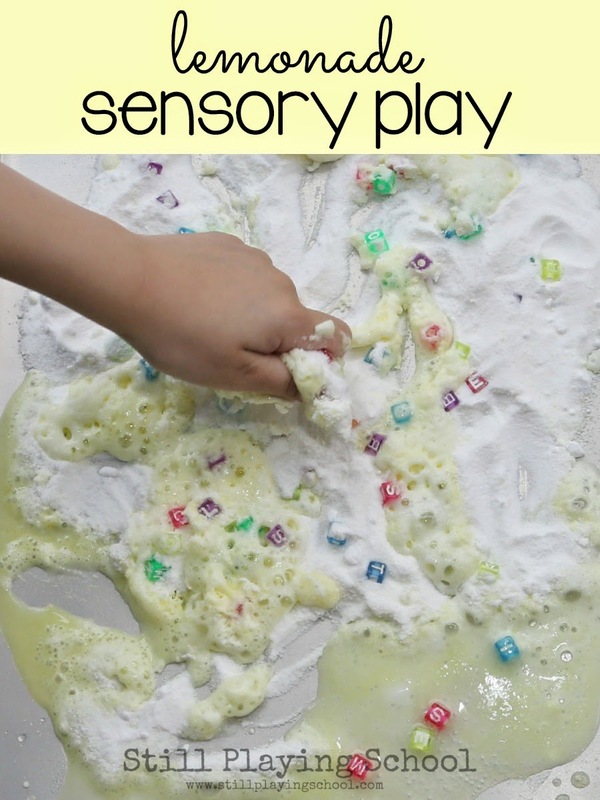 We created a fizzing sensory play experience with no vinegar! 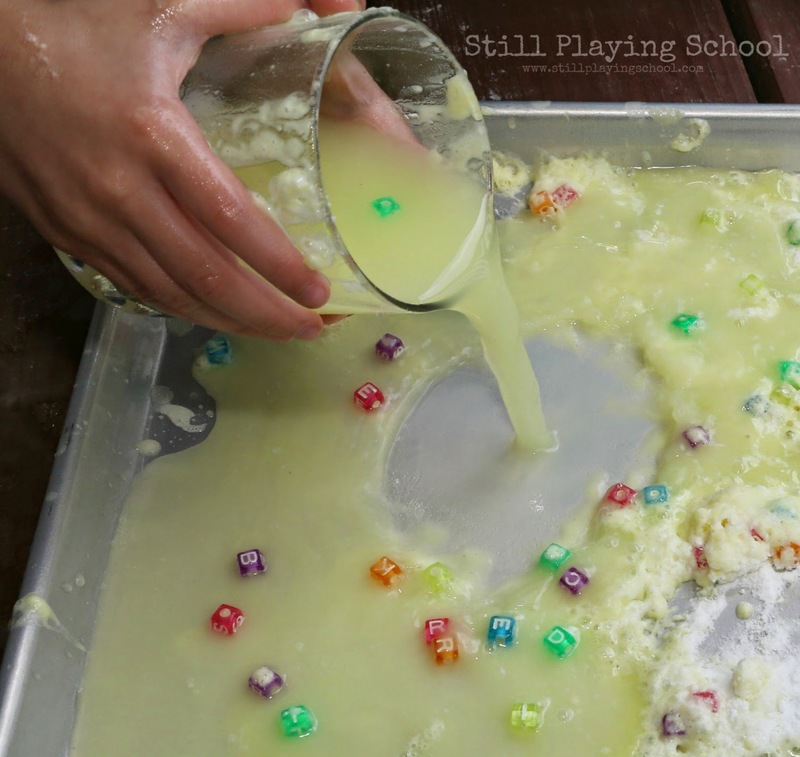 It smells like lemonade so it's prefect for summer and is taste safe for toddlers! 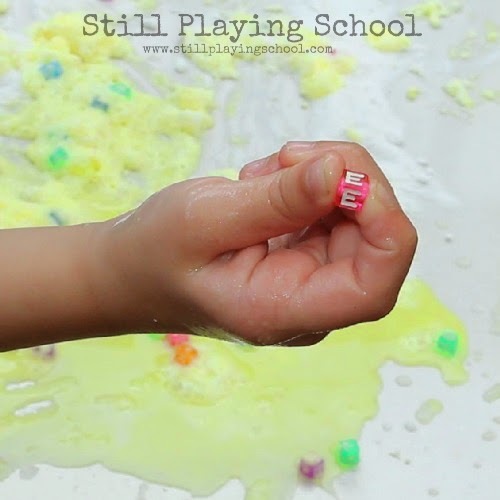 We always incorporated literacy into our sensory doughs for this series, too! 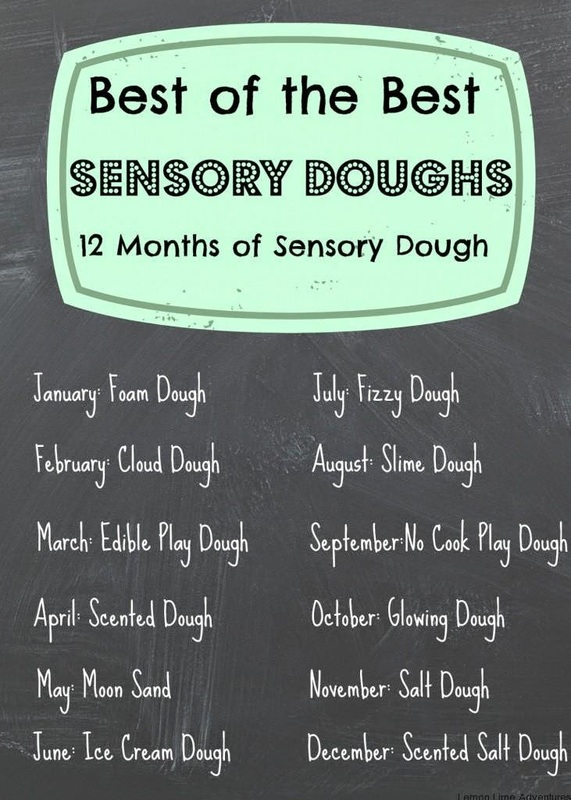 On to our fizzing sensory dough experience. 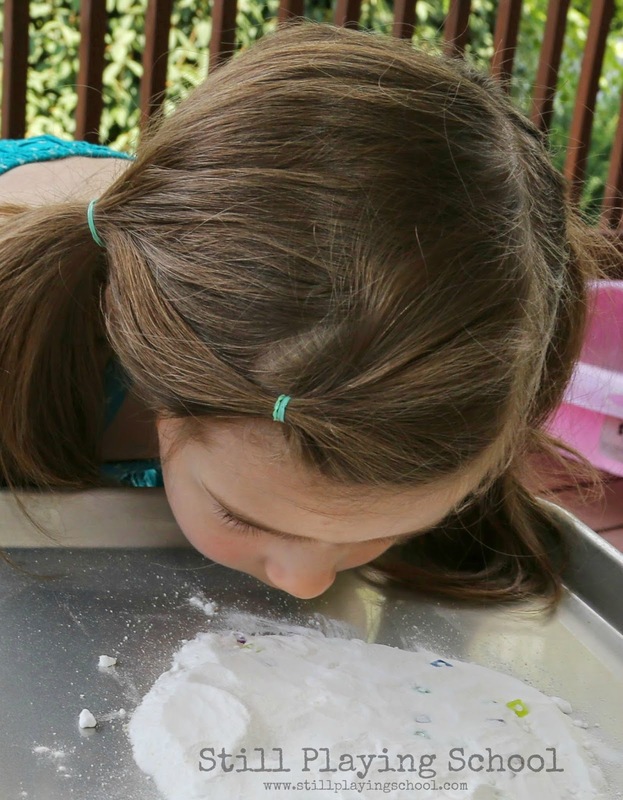 We've experimented with baking soda and vinegar since my daughter was a toddler. She's seen what happens during that particular acid and base reaction so I wanted to show her something different. We don't particularly care for the smell of vinegar but this invitation to play smelled like lovely lemons! The ingredients are easy to find at any grocery store. 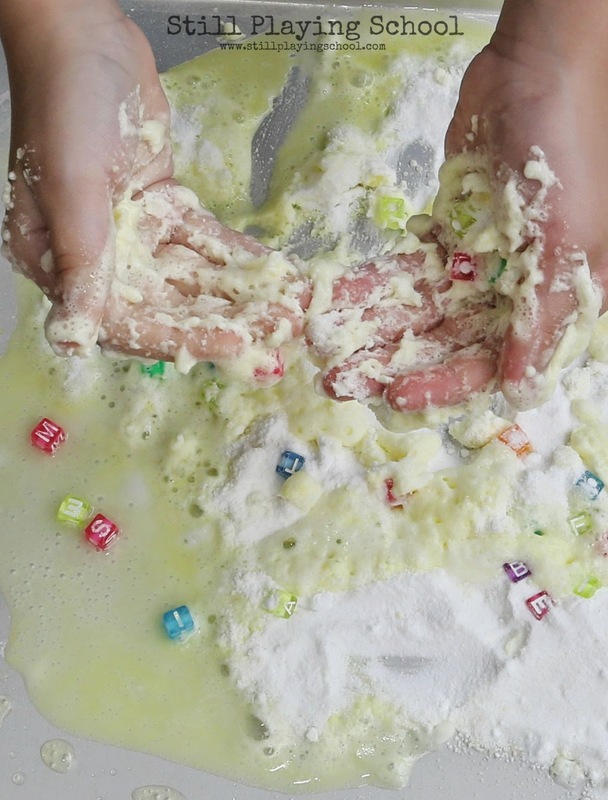 I buried colored letter beads as treasure for her to uncover in our dry ingredients. 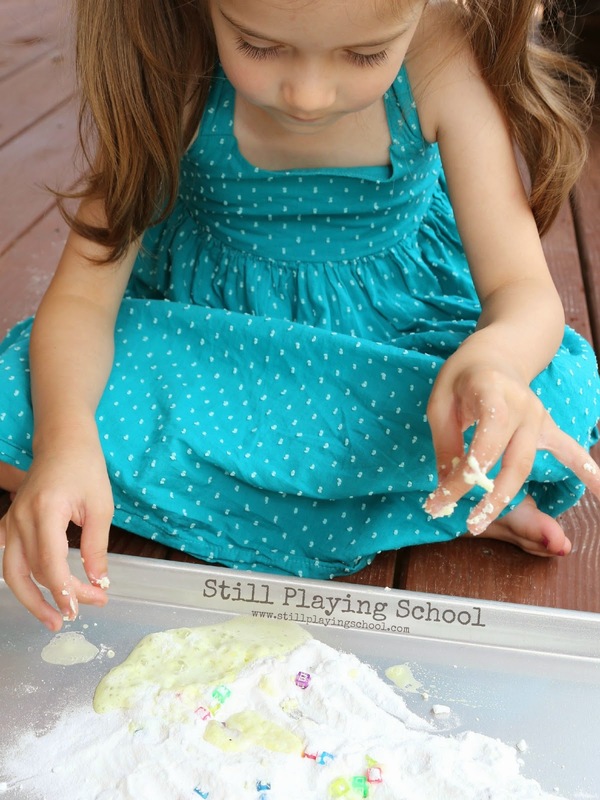 All she had to do was add water and it erupted into a fizzy dough! So what did we use? 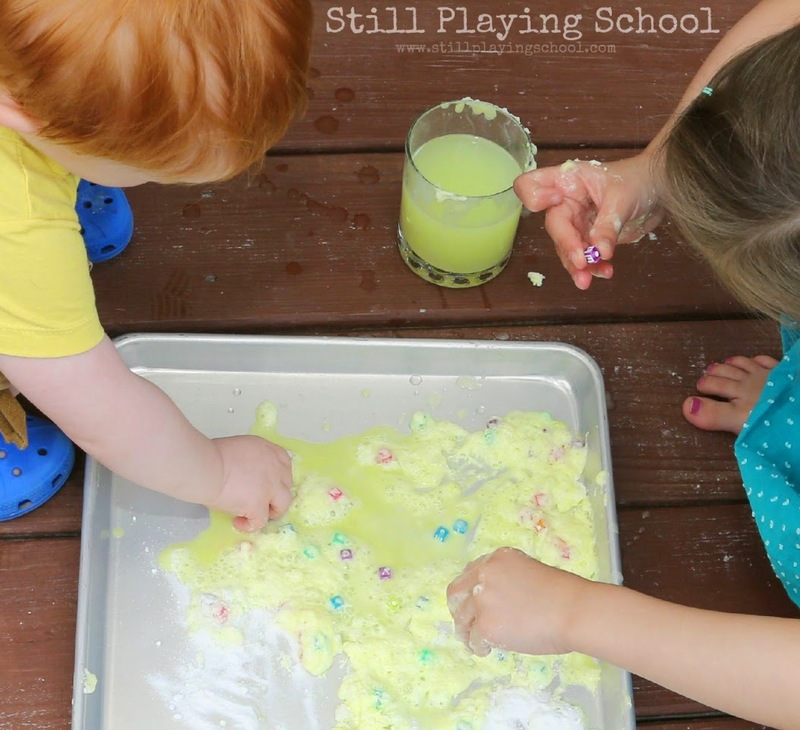 We mixed one part Crystal Light lemonade mix powder with two parts baking soda. The kids used a eye dropper to add water to this citric acid to make it fizz and uncover our "letter jewels!" As they worked our toddler brought over the large paintbrush that we keep outside for painting with water. He brushed more of the dry mix over into the dough and we all loved the smell, feel, sound, and sights of watching it fizz! Both kids loved finding the letter beads. They washed them off in the water, identified the letters, and began to spell familiar words! "Can you find an E?" 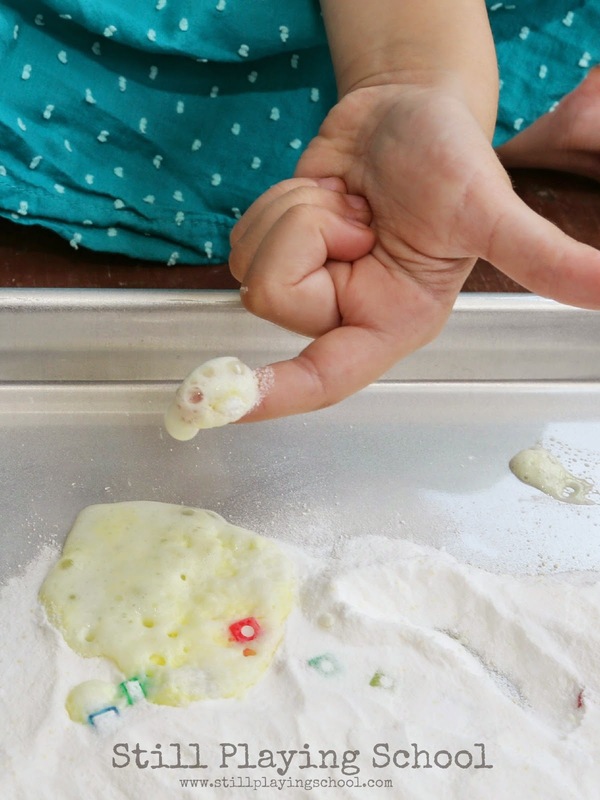 The dough is a taste safe experience for younger children but the baking soda doesn't taste great so you won't have to worry about a large amount of consumption! When we were finished playing we dumped the water right onto the pan of dough to release every last fizz! We headed inside and straight for baths! I got the idea because bath bomb recipes use citric acid but I found that you'd have to order it in bulk (for me online) but the Crystal Light is right there at the grocery store! Yay! 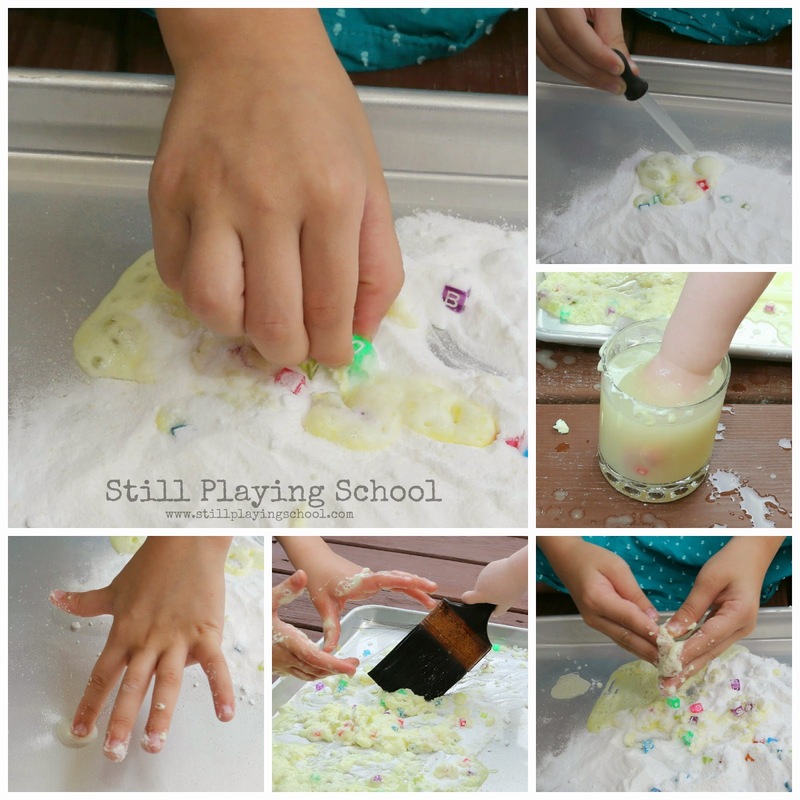 I love this idea but do you need to use Crystal Light or will other lemonade mixes work?